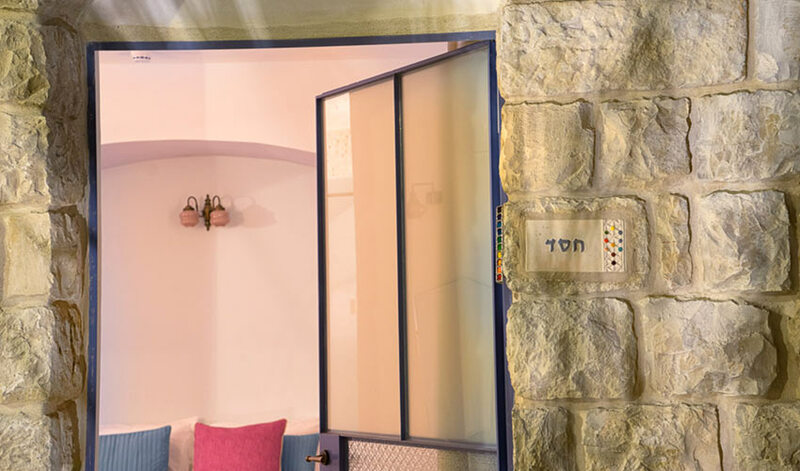 Home / Interests / Archive by category "Events in Tzfat"
The Way Inn Boutique Hotel in the Artists’ Colony of Safed invites you to join us for three magical and experiential Hanukkah nights in an authentic Safed spirit: on December 3, 5 and 9th from 17:00 – 20:00. 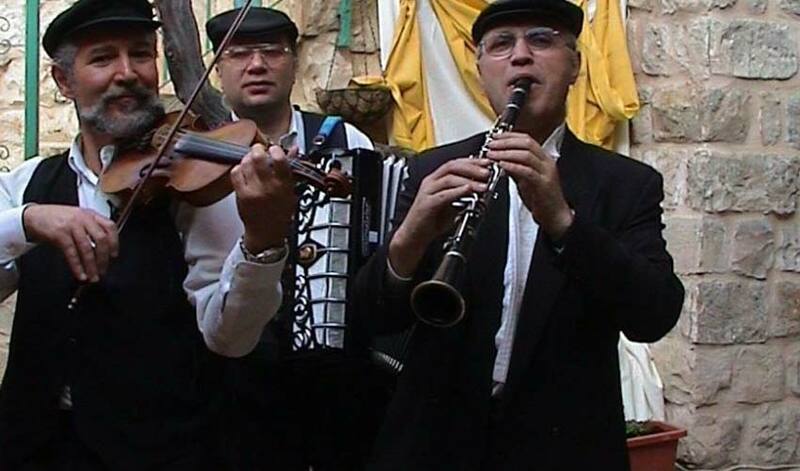 Each evening will begin with a fascinating tour of the old city alleyways in the light of Hanukkah lamps and the city’s festive spirit. 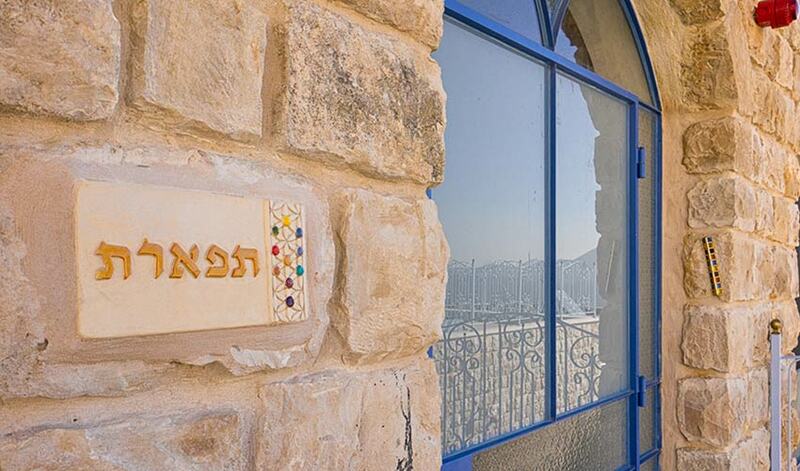 We will meet at The Way Inn and stroll past stone buildings steeped in history, hear fascinating stories about the city of kaballah and the miracles of the holiday. The tour will conclude with a lecture about the inner meaning of the holiday, the mystical dimension of Hanukkah, plus a mini-workshop to empower you to develop habits of positive thinking and feeling that create real change in daily life. Along with the soul food, delicious soup from the kitchen of Chef Rony Barel, will be served to warm your body and together we will light the Hanukka candles, sing holiday songs and enjoy traditional sweet donuts. The tour/lecture/workshop will be led by Eyal Binyamin Karouchi, Director of the Re’eh center for meditation and Jewish consciousness. 50 NIS for just the tour. The Way Inn is celebrating it’s three year anniversary. 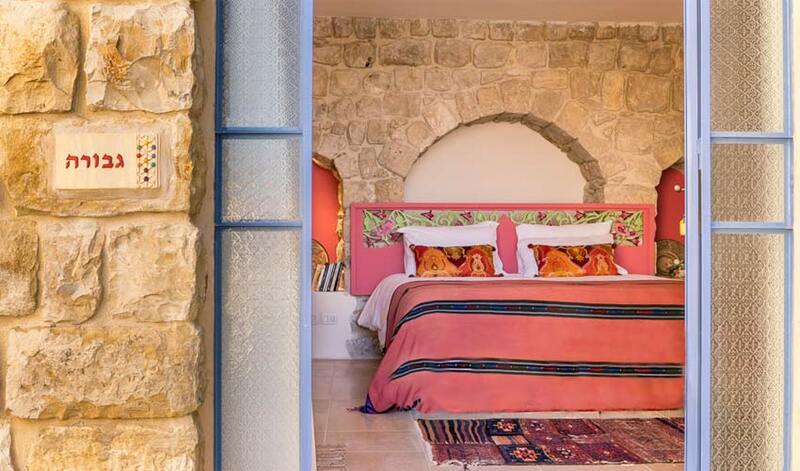 Owners Chef Rony Barel and his wife Gita Zohara arrived in Safed twenty two years ago and fell in love with the spiritual vibe and beauty of the ancient town. 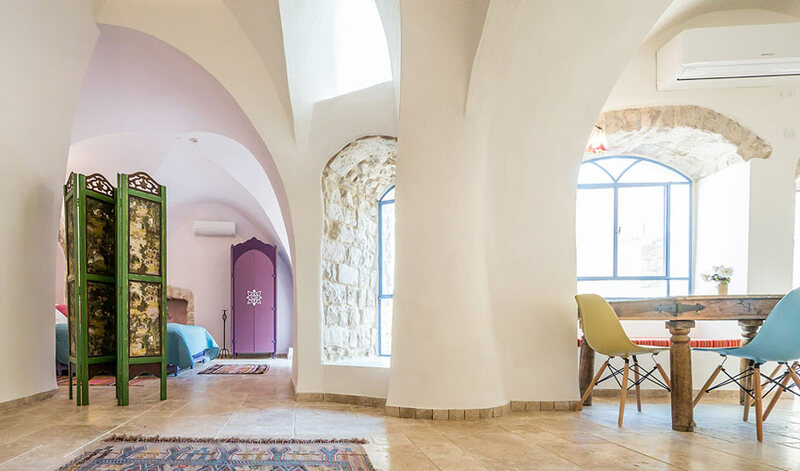 Inspired to share the magic of Safed with others, they lovingly restored three 250 year old properties on a cobblestone alley in the heart of the picturesque Artists’ Colony of Safed’s old city. The Way Inn offers a unique hospitality experience with seven artistically designed studio and family suites tucked between sheltered courtyards, a Gourmet Chef Restaurant, Spa with Turkish hammam, rooftop lounge and a conference hall for meetings and private events. Distinguished by its colorful decor, the hotel blends boutique design with the intimacy of family hospitality. 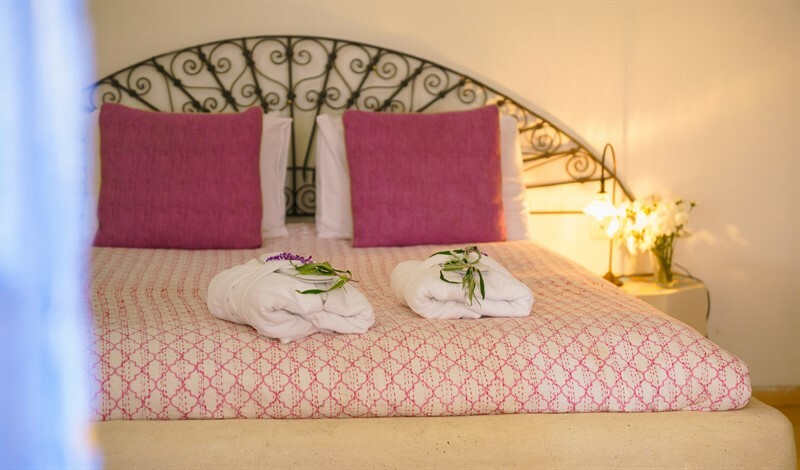 Guests are made to feel at home and enjoy the atmosphere of tranquility at the hotel which offers a “Way Inn” to an authentic Safed experience. 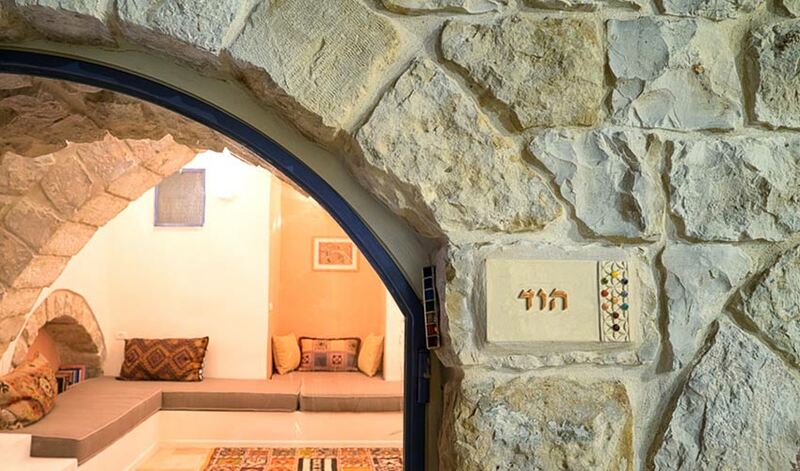 Each suite is named for a Sephirah on the Kabbalistic Tree of Life and decorated by artisans with handcrafted furniture and restored antiques. 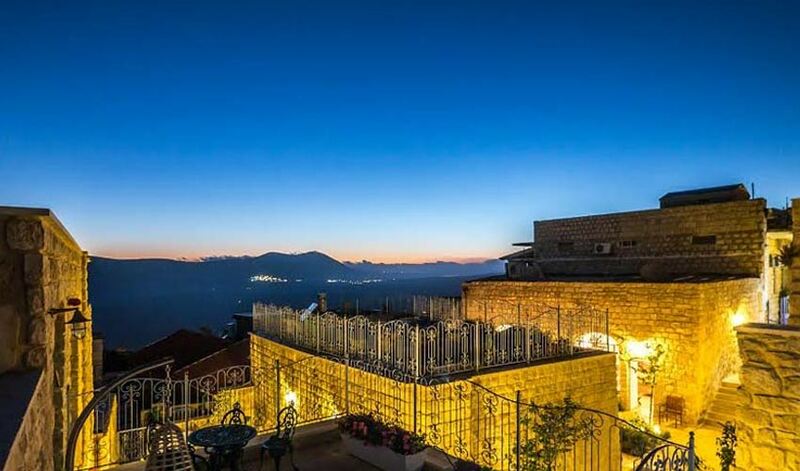 Guests enjoy Galilee mountain views, stunning sunsets on rooftop patios, delicious breakfasts in the hotel restaurant, and use of the authentic Turkish hammam and spa. 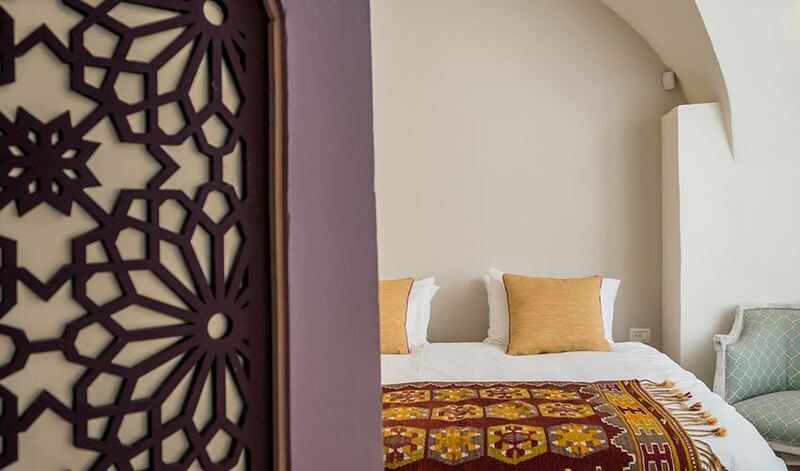 The seven suites can accommodate a maximum of 32 guests. For larger groups, additional accommodation in nearby guest houses can be arranged. The restaurant’s vibrant design reflects the vibrancy of Chef BarEl’s kitchen. Healthy Mediterranean cuisine featuring vegetarian and fish dishes is created with the freshest seasonal and local ingredients. Kosher certification from the Rabbinate of Safed. The restaurant opens for groups of twenty or more by advance reservation. Dairy and meat catering to nearby sites in the Galilee can be arranged. With thirty years of experience in the hospitality sector, Chef Barel and his wife Gita Zohara have hosted many groups from around the world and produced Bar Mitzvahs, weddings and other large events.